Yesterday I only took a couple of pictures. I just was not in the picture taking mood during our long trip back, and used my iPad to take two shots from the plane. One was of a cool cloud formation, and this one was taken during our approach to Charlotte. 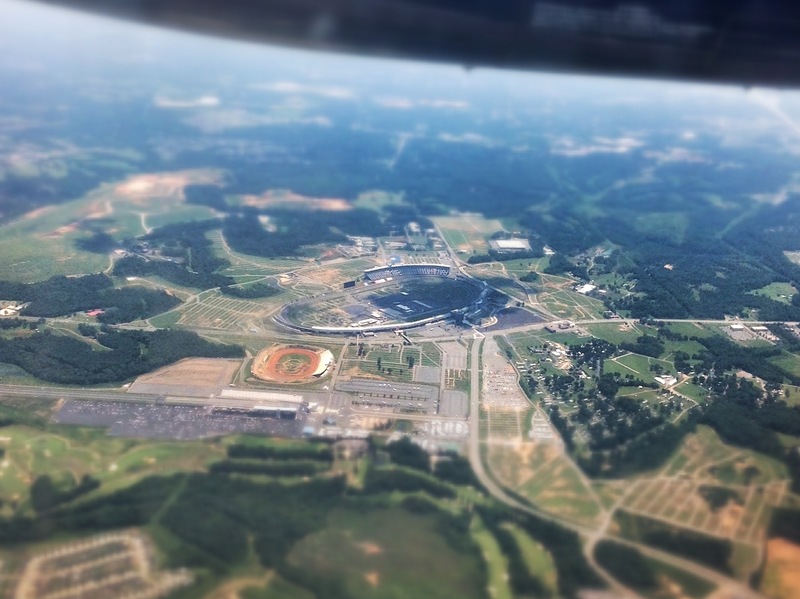 I used to watch a lot of NASCAR so it was cool to see the Charlotte Motor Speedway in person, even if it was from a great height. Being a sports fan it is nice to get some of hat on the blog even if it is not well received. I also was on the right side of the plane to capture downtown Charlotte, but he wing got in my way. As I said above everything was done here on the iPad. I took the picture with it, edited it with Snapseed, and finally posted it. In Snapseed I applied the dramatic filter to get rid of some of the haziness from the distance. I then applied the tilt shift feature to give it a model look. I didn’t know if it would work, but it seemed to help the shot.